A majority of Cleveland Browns fans are clamoring for the team to trade for Patriots backup quarterback Jimmy Garoppolo. I'm not an expert, and don't have time to do exhaustive research on the subject, but thought it would be worthwhile sharing some of the information I've thought about and come across in thinking about the Browns quarterback for 2017 and beyond. First question to ponder, who is the last backup quarterback who went from one team to another and had sustained success with his new team? 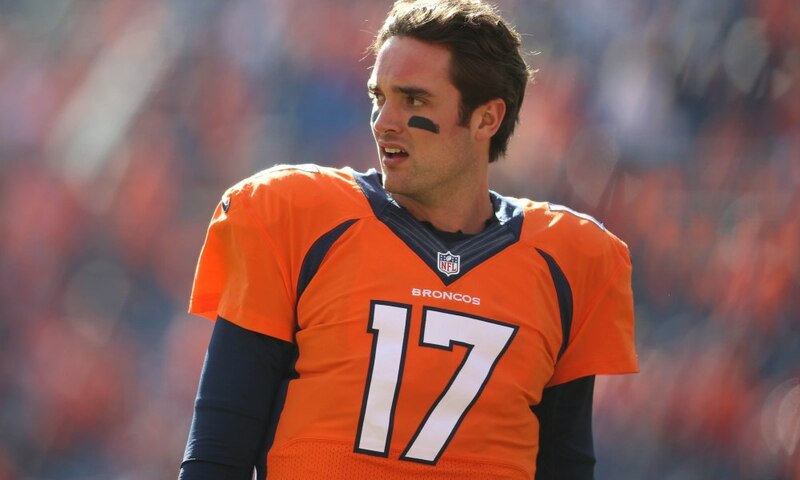 Think about it for a minute...Brock Osweiler? Matt Flynn? Matt Cassel? Kevin Kolb? Tavaris Jackson? Matt Moore? Ryan Fitzpatrick? Robert Griffin III? Brian Hoyer? Kyle Orton? Mark Sanchez? Rex Grossman? Christian Ponder? Colt McCoy? This is a pretty scary list of quarterbacks who have shown a glimpse or two of promise in one location only to end up with a different team where sustained success never materialized. There is one somewhat recent example of a backup quarterback changing teams and having a successful career. 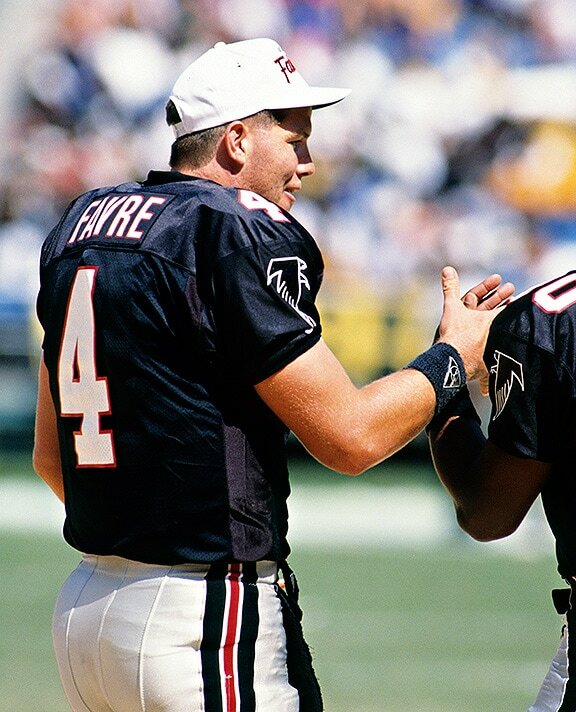 Hall-of-Famer Brett Favre was a 2nd round pick of the Atlanta Falcons and was traded to the Packers after only one year in Atlanta. Favre has admitted he couldn't stay sober in Atlanta so he ended up in Green Bay because the Falcons couldn't keep him out of the bars. Had it not been for that, he could have possibly stayed in Atlanta and had a successful career there. There may be more examples than Favre who fit this criteria (Alex Smith with the Chiefs might somewhat fit this profile), but he's the only one I can think of who's had long-term success in his second stop. That being said, what about backup quarterbacks who start with one team and end up staying with that team and having sustained success? 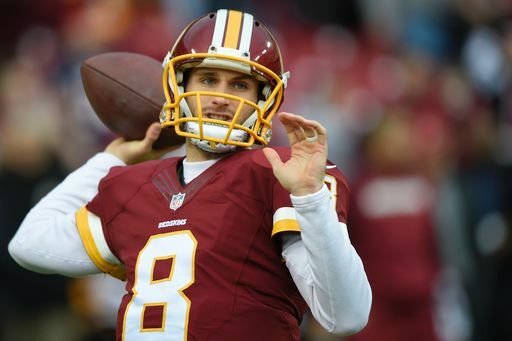 There are numerous examples of this such as Steve Young (replaced Joe Montana in San Francisco), Tom Brady (replaced Drew Bledsoe in New England), Aaron Rodgers (replaced Brett Favre in Green Bay), Phillip Rivers (replaced an injured Drew Brees in San Diego), Carson Palmer (replaced John Kitna in Cincinnati), and Kirk Cousins (replaced Robert Griffin III). 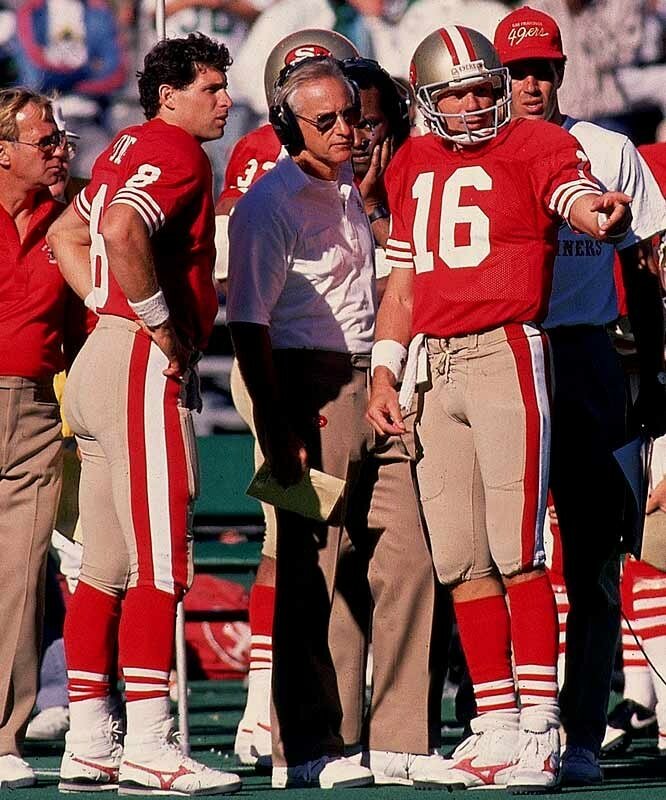 Not all of these quarterbacks are hall-of-famers, but they spent at least a season with a team before being handed the reigns to lead their respective teams into the future. Additionally, most of them replaced a very good to competent quarterback who was in front of them (excluding RGIII) and in some instances the new guy forced out a future hall-of-famer and icon of the franchise (Montana & Favre). These teams had a large sample size of practices and interactions with the player inside their facilities to make an educated decision on whether or not he was worth giving the keys to the car. In all these instances it turned out pretty well for the team. With that as a backdrop, does Jimmy Garoppolo fall into the Matt Cassel, Kyle Orton, and Brock Osweiler category or is he going to be the next Bret Favre? My guess, if the Patriots are willing to give him up (for ANY compensation) they are thinking Garoppolo is going to have a career closer to Matt Cassel than to Brett Favre. Despite Tom Brady saying he wants to play until he's into his mid-40's, the Patriots have to understand that isn't reality. 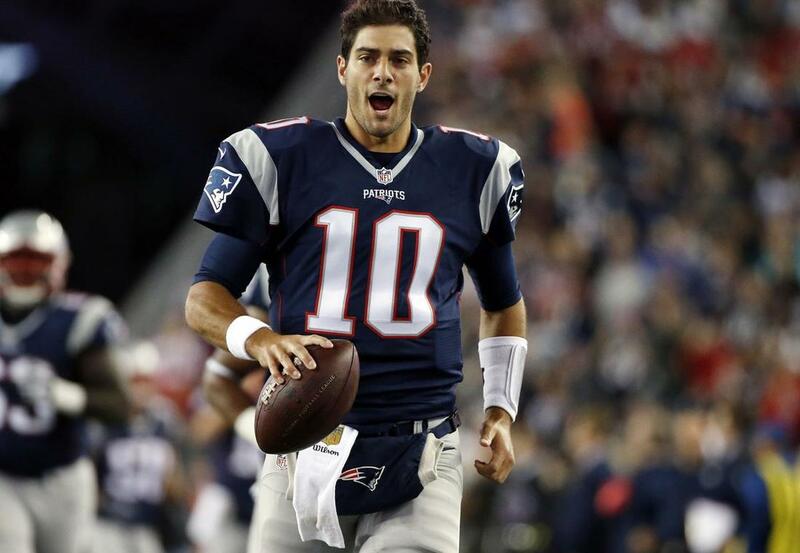 If the Patriots truly think Garoppolo is a franchise-type quarterback they'd keep him for 2017 under his rookie contract and either sign him to a new deal or put the Franchise Tag on him leading into the 2018 season. No team in its right mind would trade a franchise quarterback for one or two draft picks, even if they are high draft picks. Would the Packers trade Aaron Rodgers for a first and second round draft pick? Would the Colts trade Andrew Luck for a first and second round pick? Absolutely not. 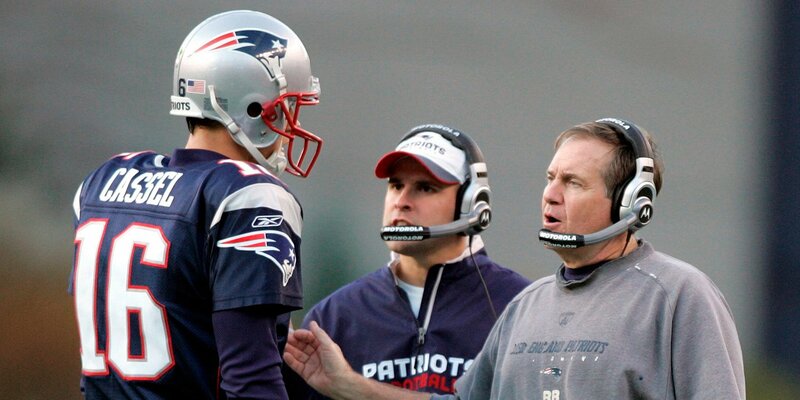 So, if the Patriots are willing to give up Garoppolo, I'd turn and run as fast as I could because that's a red flag that they think he's going to be more Matt Cassel and less Brett Favre.